Today's installment of Read (listen and view) your way around the World is taking us to Cuba. Cuba is a land of beauty. Stunning landscapes and architecture, rich food and drink and fantastic music and dance. Most beautiful of all perhaps is the spirit of the people. Cubans seem to better understand what is really important in life. Matters of the heart and the soul are paramount. Havana Fever, by Leonardo Padura. This fifth installment of the Havana series of novels has retired detective Conde, now a used book dealer, delving into Havana history and discovering some of his own family history. Padura so effectively portrays the resilience of everyday Cubans with out whitewashing the reality of their day to day struggles and frustrations. Combining intriguing story lines with a vivid sense of place, make this series a great way to start discovering Cuba. Havana Noir, edited by Achy Obejas. A collection of noir short stories set in Havana. A veritable who's who of Cuban literature, mixing both new and established authors . A great starting point to sample a rich variety of Cuban authors. The short story The Scene, by Mylene Fernandez Pintado's, is reason enough to grab this book. 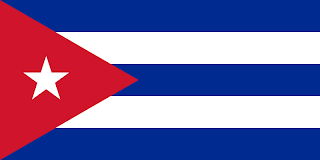 Cuba and the Night: a novel, by Pico Iyer. Famed travel writer Iyer tries his hand at fiction with great results. The story of an American traveller who becomes infatuated with a Cuban woman. With a travel writer's eye for detail, both of the landscape and it's people, Iyer transports the reader deep into the seemingly conflicting worlds of tourists and Cubans. This novel made me want to travel to Cuba and fall in love. The Island of Internal Love, by Daina Chaviano. Part history, part fantasy, part love story and part family saga, this novel has a lot to offer. Cuban author Chaviano, herself an exile in Miami, tells the story of an exiled Cuban, Cecilia, who longs to go home. As she seeks temporary refuge in a Little Havana bar, Cecilia discovers an aging storyteller who crafts such an enthralling tale about Cuba, that it has her coming back every night for more. NPR journalist Gjelton traces Cuban history as he tells the story of five generations of the Bacardi rum dynasty. The incredible growth of the company, combined with the very active role of it's owners in national interests, makes for a riveting reading experience. Politics, business, culture and family values all wrapped up in one neat package. A 2008 documentary on the life of Cuban photographer Albert Diaz (Korda) Gutierrez. Tells the fascinating life story of Korda, who was once Fidel's official staff photographer, as well as the creator of the iconic Che image seen the world over.